Reliance Industries on Tuesday said it has raised $800 million by selling 10-year bonds - the first offering since Moody's raised India's sovereign rating. The bonds were priced at 3.66 per cent, the lowest coupon ever achieved by an Indian corporate for a 10-year issuance, the company said in a statement. 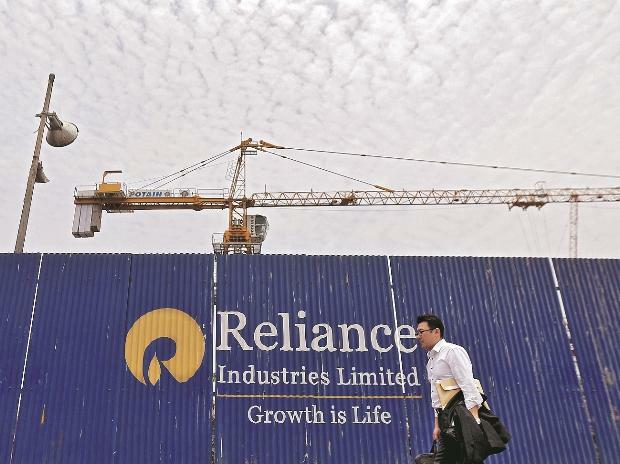 RIL, which is rated the same as the sovereign, will use the proceeds to refinance existing debt. This was the first dollar note this year. The note by RIL, India's largest company, was assigned 'BBB+' rating by S&P and 'Baa2' by Moody's Investors Service. "The notes have been priced at 130 basis points over the 10-year US Treasury Note, at a price of 100 to yield at 3.667 per cent," the statement said. They will bear fixed interest of 3.66 per cent per annum, with interest payable semi-annually in arrears and shall rank pari passu with all other unsecured and unsubordinated obligations of the company. This, RIL said, was the tightest ever spread over US Treasury for an Indian entity for a 10-year issuance. Also, it was the tightest ever spread over US Treasury for a 10-year BBB corporate issuance from Asia ex-Japan since the global financial crisis. "The company will use the proceeds to redeem its existing $800 million 5.875 per cent senior perpetual fixed rate unsecured notes pursuant to the terms of such notes," it said. The notes were over 1.6 times oversubscribed across 90 accounts. V Srikanth, Joint Chief Financial Officer, RIL, said: "This refinancing transaction was well received by high quality investors across asset managers, insurance companies and banks and helped us achieve substantial savings in interest cost over the life of the notes." Issued against the backdrop of the upgrade of the country ratings by Moody's, RIL successfully concluded a swift intra- day execution to capitalise on the market window, he said. "We are delighted to have issued 10-year bonds at the lowest coupon ever for an Indian corporate." Once a net zero-debt company, RIL has borrowed heavily to fund its mega 4G telecom rollout. The company's debt swelled to Rs 2,14,145 crore at the end of September as compared to Rs 1,96,601 crore as on March 31, 2017. Cash in hand was marginally lower at Rs 77,014 crore. Assigning its 'BBB+' rating for the bonds issue, S&P Global Ratings had yesterday stated that RIL continues to bolster its business profile with new growth projects in its already large, integrated and efficient oil refining and petrochemical businesses. "The completion of recent investments in the refining and petrochemical segment will further add to the company's cash flows," it said, adding that RIL's diverse businesses with high levels of integration help offset the cyclicality inherent in the oil and gas and petrochemicals industries. S&P said RIL is on track to achieve Ebitda of about Rs 70,000 crore in the current fiscal and Rs 90,000 crore in 2018-19. Ebitda was Rs 32,500 crore for the first half of the current fiscal. Moody's Investors Service had separately stated that RIL's Baa2 rating reflects the company's strong ability to generate operating cash flows, with annual Ebidta exceeding $10 billion from its large-scale integrated refining and petrochemical operations which generate strong margins and the company's nascent but growing digital services business.